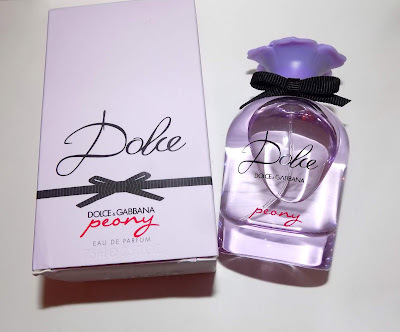 I have to say the new Dolce Peony purple bottle variation has totally got me. It just says SPRING and is such a beautiful color. It's funny how just something as simple as a color change can make such a difference. 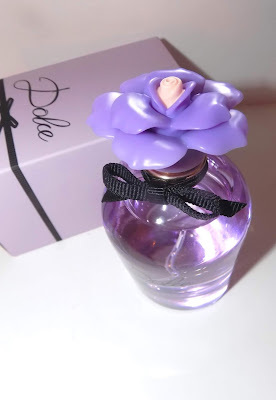 The Dolce bottle was always cute but generally I don't do much that's cutesy frou frou. Here we have an exception. The scent is a pretty, light floral that is very different from last year's Dolce Garden. It begins with lots of citrus in the form of bergamot and nashi pear. Rose , peony and freesia are the prominent florals to my nose with the peony definitely being the top flower here. Honey adds warmth and some sweetness while plum, amber and patchouli bring the drydown. It's a fruitchouli type of scent but not too sweet . Sillage is medium as is lasting time. It wears pretty well through the bulk of the day. I'm quite liking it and have been wearing it all week. And did I mention how cute the bottle is ? Ready to jump into your Easter basket. 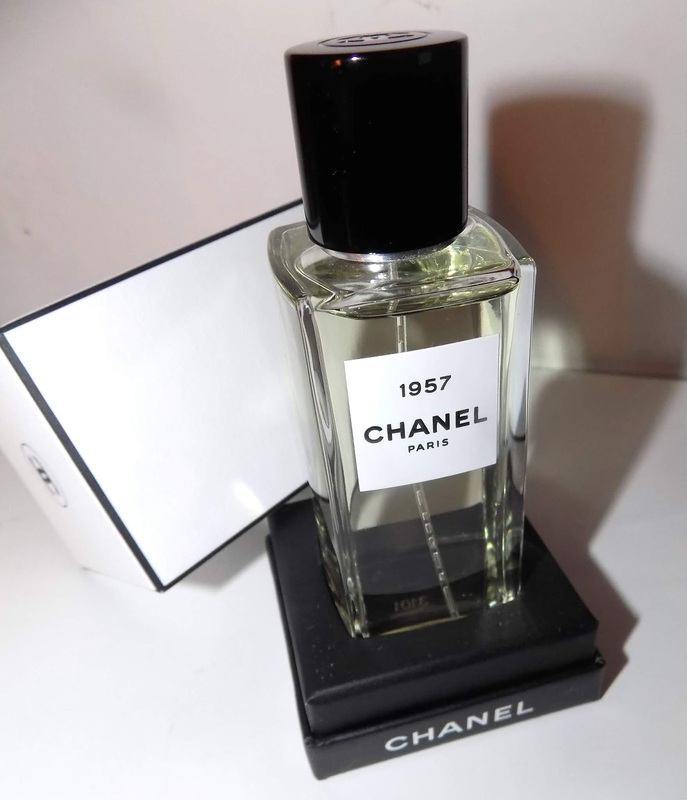 Chanel 1957 is the Chanel I almost didn't try. I'm not really a fan of musky fragrances at all so I had my reservations about this new Les Exclusif. But hello, it's Chanel so not only did I have to try it I also should have known better than to doubt them . Now I can't stop wearing it. 1957 is a beauty. It starts out more aldehydic than I expected (that's a good thing ) and sparkles with bergamot and an indolic neroli . Iris lends a dry powder and a brief old school vibe, honey adds warmth without over sweetening and a barely there cedar grounds things. Throughout are the carefully built layers of 8 white musks that Olivier Polge used in the creation of the fragrance. They waft and wrap softly around you , lingering all day with the bright florals. Longevity here is long. 10 + hours easily on me and it lingers longer on clothes. For a fragrance that leans lighter, that's wonderful lasting time. While 1957 doesn't reinvent the fragrance wheel it is unique to Chanel's oeuvre , is simply pretty and definitely worth a sniff and spritz. Spring has sprung and this starts to turn our nose to the pretty florals of the season. 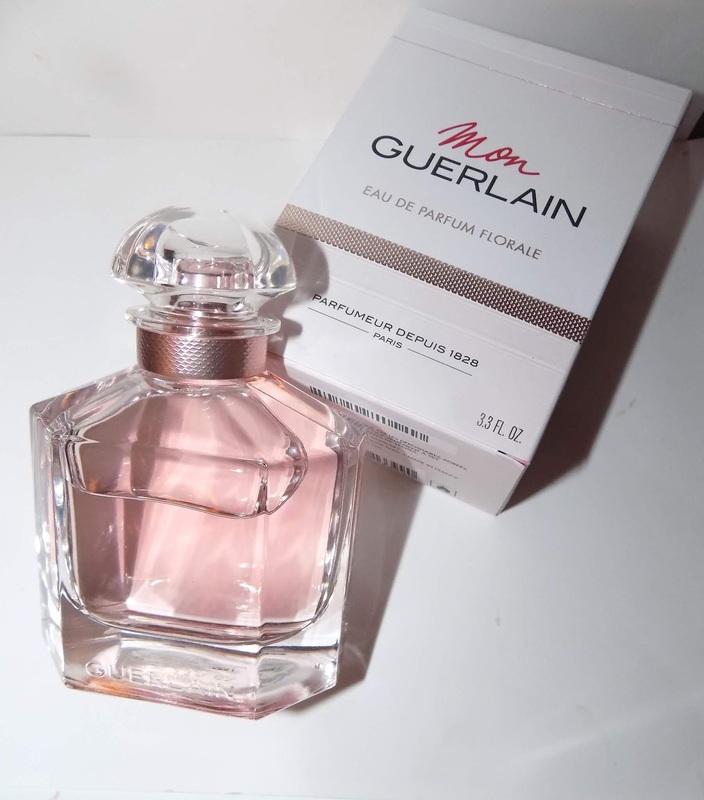 Guerlain's Mon Guerlain Florale fits the bill perfectly. 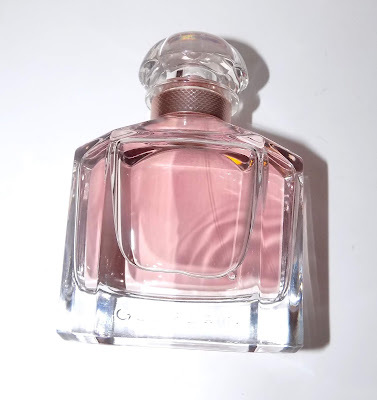 Softer than it's predecessor Mon Guerlain, this is light and floaty with jasmine , dewy peony and lavender with vanilla and patchouli giving a bit of sweetness , warmth and a slight gourmand feeling. The notes all play well with each other making this an easy , every day fragrance. The original Mon Guerlain , if you haven't tried it, is a bit richer with a deeper, drier lavender note, less light florals and more vanilla. Quite pretty as well but more gourmand and sweet where Florale is airy and flowery. I will say , I like Florale better, but that's my personal taste as I can be so so with gourmands. Of course it comes in that beautiful , iconic Guerlain Baccarat inspired bottle . 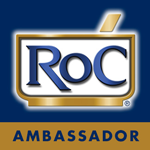 It's a great pick for an Easter basket extra or for Mother's Day gifting. Guerlain Mon Guerlain Florale is $ 124 for 3.3 oz at Saks, Neimans and Sephora. Does your skin sometimes feel like sandpaper ? 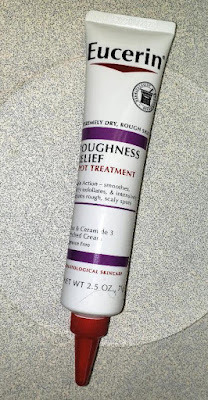 After all Winter's cold air I know my fingers and knuckles no matter how much hand cream I use are still very dry as is one elbow. The one I lean on most I guess. Eucerin's new Roughness Relief Spot has urea and lactic acid to help smooth out the roughness and ceramides and sunflower oil to add moisture. 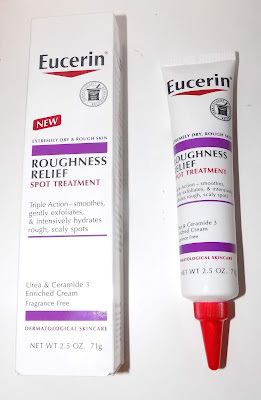 The tube ends in a pointy tip so you can squeeze out as much or little as you need for spot treating or to cover a larger area. As with any urea based lotions I've used this can be a little tacky feeling at first, but that goes away pretty quickly. 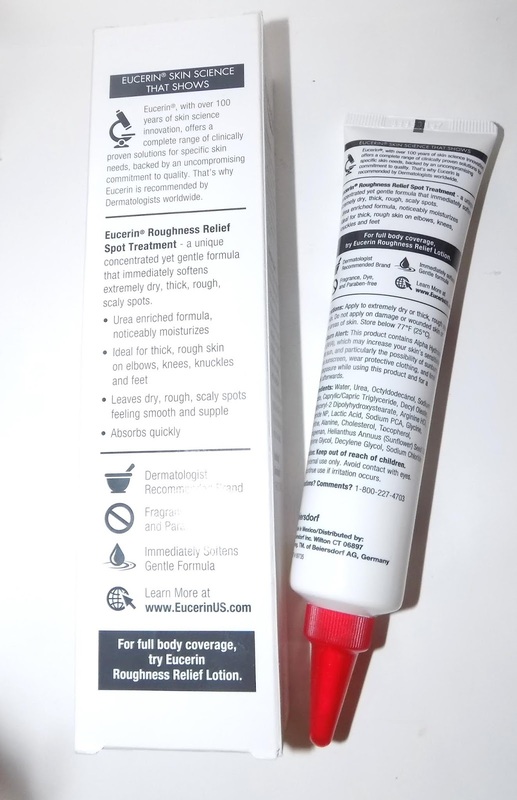 It's definitely helped those knuckles and elbows within 2 uses and works nicely on heels of feet too. The tube is large at 2.5 oz so it's going to last awhile and there is also a matching lotion.